Two key Obama administration education rules, governing teacher preparation programs and how states judge and improve schools under the Every Student Succeeds Act, are on their way out. Senators voted 59 to 40 to block the teacher preparation rules, with eight Democrats joining the Republican majority. More contentious is the pending debate, which kicked off Wednesday afternoon with a vote likely Thursday, over blocking the Obama-era rules that set out how states should rate and improve low-performing schools through the accountability provisions included in the Every Student Succeeds Act. The House passed both bills last month, and the White House has said President Trump would sign them. Critics of eliminating both say measures to hold college programs accountable for producing effective teachers and K-12 schools for making sure their highest-need students are learning will be lost. Proponents said both amounted to federal overreach. Though education has long been a contentious issue, a sort of détente emerged in Congress after the passage of ESSA in late 2015. That has evaporated in 2017 with the unprecedented and rancorous partisan divide over Education Secretary Betsy DeVos’s confirmation and the decision by congressional Republicans to use the sweeping Congressional Review Act to undo Obama-era education priorities. 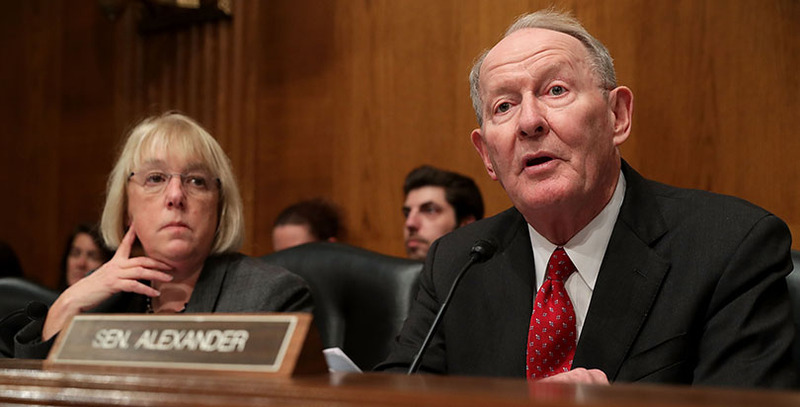 Sen. Lamar Alexander, chairman of the Senate Health, Education, Labor and Pensions Committee and author of ESSA, as late as last summer said he was willing to “restrain myself” and iron out differences in the accountability regulations. He told The 74 in July that he didn’t want the law to become like Obamacare, the focus of perpetual partisan bickering and now, ironically, the legislation Congress is consumed with trying to repeal and replace. Now Alexander is the sponsor of the resolution to overturn those same accountability rules. On the Senate floor Wednesday, he explained seven specific ways he said the Obama accountability regulations violate the underlying law. Then he listed 16 more, and disputed what he said were several myths about what could happen if the rules are blocked. The Tennessee Republican’s remarks stretched over more than half an hour. The regulation is, at its core, about the division of power in the federal government, Alexander said. Education secretaries “do not get to treat Congress as a minor impediment to the education system of their choosing,” he said, in a reference to Obama education secretary John King. “If they want to write the laws of the land, they should run for Congress,” he said. Democrats and civil rights groups say the rules are necessary to enforce the “civil rights guardrails” included in the law that aim to ensure adequate education for children of color, students with disabilities, English-language learners, students from low-income families, and others who have historically not been served well. Sen. Patty Murray, the top Democrat on the HELP Committee, said the accountability rule is consistent with the underlying law, and getting rid of it just as states are beginning to write their plans would create confusion. “Using such a blunt instrument like [the Congressional Review Act] to overturn the entire rule will be a retreat from bipartisanship,” she said. Unlike the ESSA accountability regulations, there has never been consensus about federal oversight of the teacher preparation programs, first proposed in 2014. Heidi Heitkamp of North Dakota, Joe Donnelly of Indiana, Joe Manchin of West Virginia, Claire McCaskill of Missouri, and Jon Tester of Montana — all Democrats up for re-election in conservative states in 2018 — were among the eight Democrats who voted to freeze the rules. The crux of the Obama administration accountability measure was that teacher-training programs should be evaluated based on the outcomes of their graduates, including how often they get jobs, how long they stay in the classroom, and what results they get with their students. It would link students’ test scores back to the training programs from which their teachers graduated. Programs that failed could become ineligible for federal TEACH grants that help defray higher-education costs for some students hoping to become teachers. Sasse, who previously served as a college president, noted that he is familiar with teacher training programs, but he still wouldn’t feel comfortable setting standards for them. “Even though I’ve been around a lot of these programs in some detail, I wouldn’t possibly think I’m ready to decree all the details in those programs from thousands and thousands of miles away,” he said Tuesday. Murray, meanwhile, defended the regulation as providing prospective teachers with important information on how well teacher preparation programs perform. “Simply put, [blocking the rules] would put more [oversight] power into the hands of Secretary DeVos, and many of us don’t yet have the trust that she would use that power to promote the best interests of students in higher education,” Murray said Tuesday. The Congressional Review Act blocks agencies from instituting any substantially similar rules until Congress passes a law permitting them to do so. 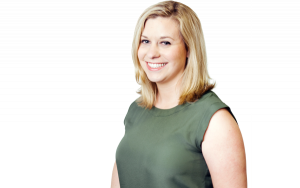 Unlike the ESSA rules, which will be stonewalled for at least the next few years, and likely longer, there is an opportunity to rewrite the teacher prep rules in the near future via a rewrite of the Higher Education Act. Kate Walsh, president of the National Council on Teacher Quality, urged senators not to overturn the rules, but, if they do, to swiftly reconsider a higher-education reauthorization.